Adapting to a new living environment (like a new home, new area and new academic year) can be easier for some new home renters. For others, it may not be easier or it may even be frustrating. To manage the settling-in process as a new home renter in a new area in a new academic year, we are working together with new renters on these matters this week. We will be particularly looking at the things that those who are newly moving in a new home as renters can do to make the process easier while they will be living there and managing their tenancy as agreed with their landlords and or managing agents. This is about looking at property management and maintenance from the tenants’ point of view rather than from the landlords’/ladies’ perspective. To successfully manage and maintain your new home as new renter, it is advisable to follow the terms of the tenancy agreement and any additional agreements you have made with your managing agents and or landlords/ladies. There are as well areas of law that new renters need be aware as the tenancy law sometimes does change. If the change occurs and is going to affect their rental situation, then they need to know it. Alternatively, their managing agents and or landlords/ladies would inform them of any changes in the interest of the two contractual parties and their witnesses. √ To protect the indoor and outdoor environment etc. This is so vital in the world where there is online database of bad tenants in the market. This week’s process of working together with new renters in this new academic year goes further as we are going as well to touch upon the things to be aware around your new home and new area. Moving in a new area means that your need know your neighbourhood and the basics about the local area. Already when putting an offer on your property or before you move in, your letting agents or new landlord/lady would have provided you a profile of vital statistics and key information about the area. If not, you would have yourself done some searches online and via print resources about the area. It is vital to learn to know the area where you will be living, shopping on daily basis, commuting, using open space and amenities, perhaps doing your education and working there. Again, this knowledge of your local area can help to protect you, save money, keep you safe and secure, make you be part of the locals and keep you informed and make informed decisions. Need to know more about settling-in process as a new renter in a new area in this new academic year, work wit Home Relief. Need to rent a home and or help to rent, work with Home Relief. There are those who do not earn enough to buy their own homes and who are looking for budget areas and properties to rent as well. We are offering to all these prospective tenants and home seekers Help to Rent service to shorten and smooth their rental journey. Help to Rent is an extra service designed by Home Relief as part of its rental brand to help reduce home deprivation by working with those who are looking for affordable homes and finding it difficult because of their conditions of life, circumstances of work, status and income or budget limitations. This week, our home-renting campaign will include two areas of focus: raising awareness about Help to Rent support and products from Home Relief, and home-finding solutions for those who are finding it hard to rent. 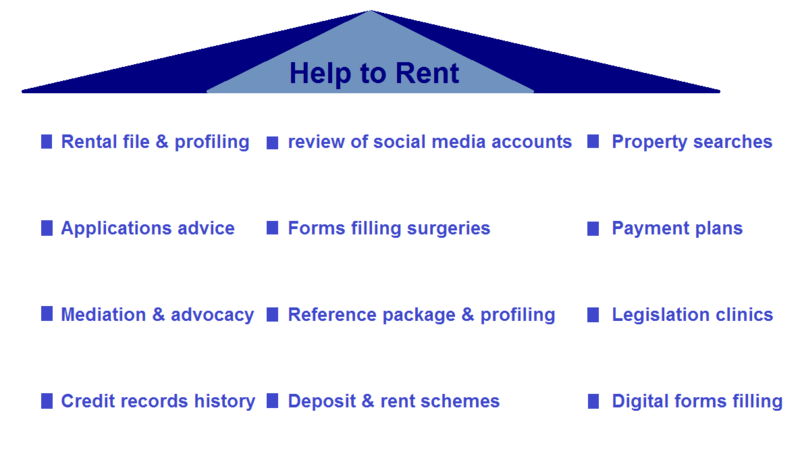 Rental file and profiling, Review of tenants’ social media accounts, Property searches, Applications advice, Forms filling surgeries, Reference package and profiling, Digital forms filling, Deposit and rent in advance schemes, Building credit records history, Mediation and advocacy and Rental legislation clinics. 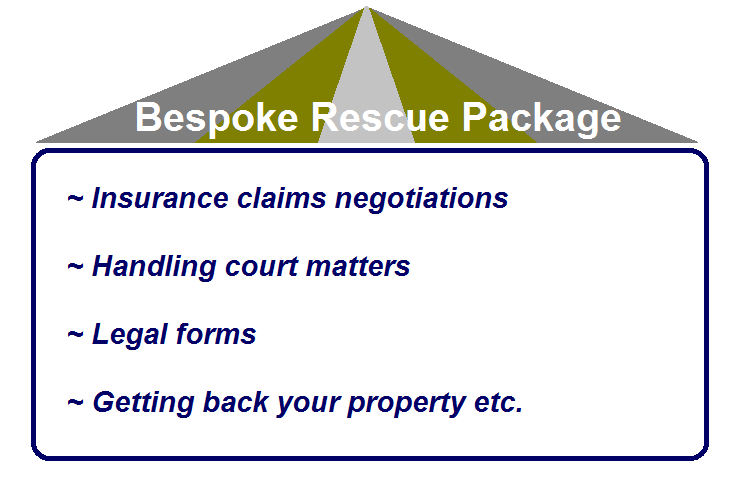 For further details about the contents of each these areas of support or products, contact Home Relief. Raising awareness about Home Relief’s Help-to-Rent products and knowing them is not enough unless one applies or uses this Help to Rent. Their use is what would make a helpful difference in the lives of those ordinary people and families in need of accommodation. Help to Rent can make rental life easier, less stressful and cost effective. So, our feature for this week is the types of Help to Rent one can get when renting through Home Relief. This is the case of the “K” family. This week, we would like to share with you the home ladder story of one of the low income earning families who become home owner – the “K” family. For reasons related to General Data Protection Regulations (GDPR), their personal details including their annual incomes and occupations, the property addresses and particulars will not be revealed. The “K” family is true story of a family, made of a couple with their young daughter, who was living in a privately rented one bedroom flat in Streatham (London) in 1996. The family rented this flat at the rental of £500 per calendar month at that time. As they were not earning enough, they were claiming housing benefit from the London Borough of Lambeth to meet the rent shortfall. In 2003, the family who worked hard pledged all their small assets for security of home loan. They managed to assemble all their little incomes from all the various sources they had and raised a deposit of £10,000. They then purchased a 3-bedroom maisonette in Penge at the market value of £135,000. They were repaying interest only on the mortgage on that property. In 2008, as the housing market was favourable to them, with the agreement of their lenders they sold the maisonette and bought another 3-bedroom house in Bromley (London) at the market value of £215,000. This helped them to achieve a gross positive equity of around £80,000. Now, they are repaying both the interest and the loan, amounting all together to around £1,000 a month as their endowment mortgage repayment. The last market valuation of their 3-bedroom house was around £317,000 this year. The “K” family has now a place they can really call home which has provided a relief for them. They have now virtually become a middle income family. The “K” family story is one of the millions examples on how low income earners can gradually move the housing ladder and become outright home owners. It took nearly twelve years for the “K” family to achieve their dream of becoming home owner, likely they managed to do so. If you have similar stories of moving the housing ladder and would like to share, please let us know. Home Relief will comply to the new GDPR when dealing with your case. Have a story about ownership home or just a home to give, work with Home Relief. Need to know more about home-buying and -selling process as a low income earner, why not work with Home Relief for information, guidance and advice? Prospective home buyers and sellers can consult Home Relief to discuss their individual cases, home buying or selling plans and the suitable options for them.